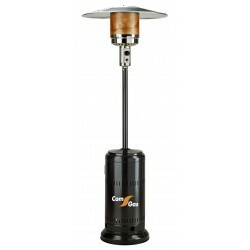 LPG gas heaters, Patio heaters, LPG hot air generators. 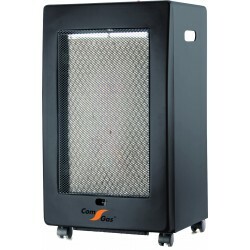 Heating There are 13 products. 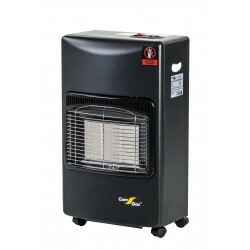 Catalytic heaterIt works with butane / propane gas.Power 2.4 Kw AdjustableConsumption 180 g / h.
Infrared radiant gas heater.Power: 4.2 KwConsumption: 305 g / hNominal pressure 30 mbar. 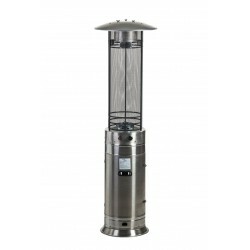 Patio heater in stainless steel. 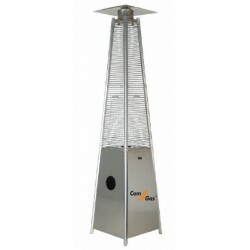 Patio heater type pyramid. 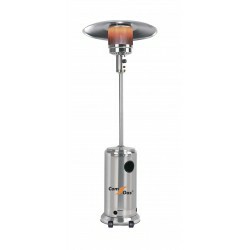 Maximum power 13 Kw adjustable. 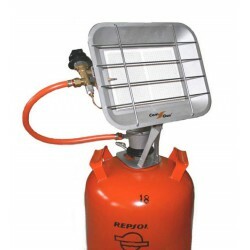 Consumption 945 g /h Butane /propane gas. 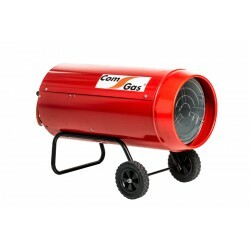 Hot air generators with wheels. 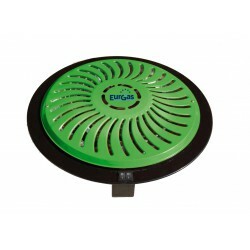 Electric brazier. 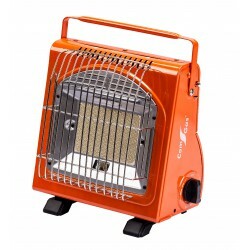 900W Two heat setting: 400W / 900 W Cable: 3 meters Instant heat. Measure of the base: 37 cm. Ideal for round table. Heat resistant glass tube creates an attractive flame picture. 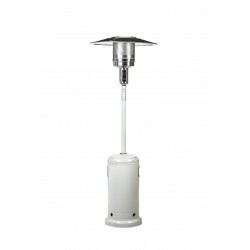 Maximum power 13,5 Kw adjustable. Consumption 982 g / h butane / propane gas.